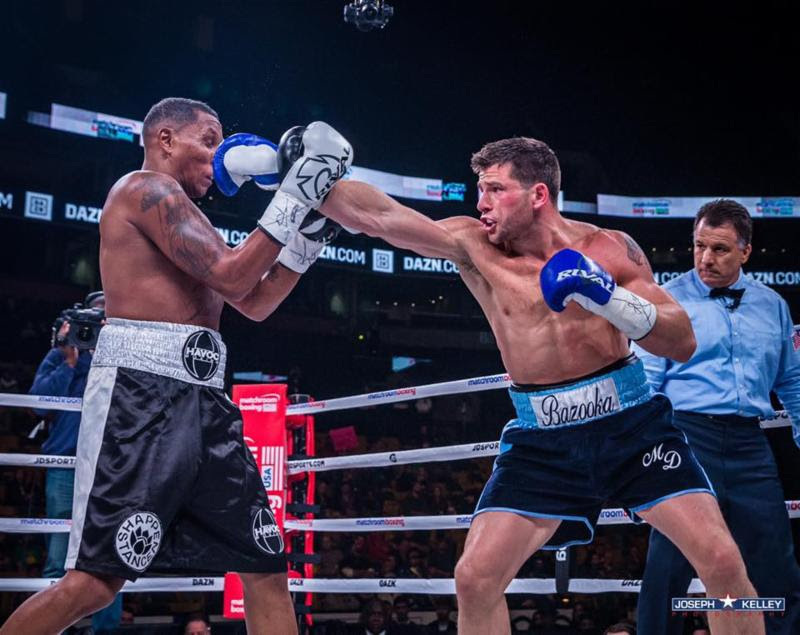 DeLuca is coming off the highest profile win of his career this past October when he fought on the undercard of Demetrius Andrade’s world title fight at TD Garden which was shown worldwide on DAZN. DeLuca won a unanimous decision in what was an immediate rematch of the only blemish on his record, a split decision loss to Walter Wright, considered by most in attendance to be a robbery. Now DeLuca finds himself, not only one of the most popular fighters in New England, but also in contention for a world title shot later this year. “Being in the Top 10 now, I know that I’m only a phone call away from a life changing opportunity.”, explains the former Marine turned title contender. In the co-main event, one of boxing’s favorite characters, Gary ‘Spike’ O’Sullivan (29-3, 20 KOs) will make his return to Boston, where he has amassed a huge following, to take on Worcester, Massachusetts’ Khiary Gray (16-4, 12 KOs) in what promises to be an action packed 8 round battle. The Cork, Ireland native who is promoted by Murphys Boxing in association with Golden Boy Promotions has moved down to the junior middleweight division where he is looking to make a splash in 2019 after finishing last year with a unanimous decision victory in his home country against the 40 fight veteran, Gabor Gorbics. “Boston is a home away from home for me.”, says the outspoken, handlebar mustached slugger who has fought in the New England area 10 times. Murphys Boxing’s Charles Foster (17-0, 8 KOs) will put his NABA Light Heavyweight Championship title on the line in a 10 round bout against Chicago’s Mike Jimenez (22-1-2, 14 KOs). The New Haven, Connecticut based Foster is a world ranked contender (#10 in the WBA) and is fresh off a national television appearance last year when he beat the previously undefeated, Alvin Varmall, Jr. on Showtime. He will face one of his toughest challenges yet against the dangerous, power punching, Jimenez whose only loss came to two-time world title challenger, Jesse Hart. In keeping with the holiday’s theme, there will be an all Irish grudge match when Lucan, Ireland’s John Joyce (7-0, 4 KOs) travels to America to take on Cork, Ireland’s Noel Murphy (12-1-1, 2 KOs), who is now based in New York City, in an 8 round welterweight clash that has Irish pride on the line. “The St. Patrick’s Day Clash is my favorite promotion of the year and one that our fighters and fans really look forward to.”, explains, Murphys Boxing founder and Dropkick Murphys frontman, Ken Casey.